Intel is now more than just a PC company. At industry events, the company’s keynotes feature drones flying around, robots walking on stage and musicians creating tunes from wearables. The chip maker is helping BMW build an autonomous car, will sell modems to Apple, and is leading the development of next-generation 5G cellular networks. For all these new markets, it will provide chip and data-center technologies. The transformation is happening partly under the leadership of Venkata Renduchintala, president of the Client and Internet of Things (IoT) Businesses and Systems Architecture Group at Intel. As Intel’s second-in-command, he helped cut struggling products like mobile CPUs and sharpened the company’s focus on IoT, servers, and connectivity. Hired from rival Qualcomm late last year, he’s an outsider trying to rid Intel of its historical resistance to change. He’s also bringing fresh ideas and wholesale changes to Intel, which promises to bring a new dynamic to the Silicon Valley institution. It’s been a really interesting process of acclimation. It’s a great mixture of feeling, like an organization where I think my experience and my interests can really help the journey [CEO] Brian [Krzanich] wants to undertake with the company. The scale at which Intel can play is probably going to be very difficult for others to match if you look across, client, networking and the data center groups. The goal is to be able to think as one Intel. IDGNS: There have been questions on how you would fit into Intel, which has a closed culture and history of promoting executives internally. Many people hired from external companies haven’t worked out. One thing that’s really important to understand is that Intel is a company of tremendous heritage. I’m not coming in to fix anything. I’m coming in hopefully to add another dimension and an important ingredient to the management team that Brian has at his disposal. It requires me to respect what Intel has been able to achieve and the caliber of the management team and the brands assimilated. I don’t think Brian hired me to maintain the status quo. I think what he wanted was a strong ingredient of outside-in thinking complementing the original thoughts. I’m feeling very comfortable now in being able to feel like I’ve got a good bunch of colleagues who know where I’m coming from; we can speak straight to each other and we can actually have really good discussions of meritocracy. IDGNS: You had to make some decisions on cutting products Intel has worked on for years as the company’s priorities were reset. How tough was it? When you come into a company you have a degree of objectivity that isn’t tainted by your attachments to the genesis of certain projects. For me it was a fairly structured, objective discussion where you make decisions in a transparent and open manner. As long as you can walk people through your thinking, you can take what was very controversial and make it very logical. I’m passionate about technology but I’m also passionate about profitability and how the two are married in a seamlessly reinforcing way. IDGNS: What’s the reasoning behind cutting mobile processors to focus on modems? On the modem side, it’s a fundamental technology and this is where I think it comes down to being as indelible for us as our competence in CPU or GPU. We’ve set ourselves up with a very interesting road-map, but more importantly, we’ve established a degree of credibility, relevance and importance as a key technology partner with a number of key players in the industry that I think is really important. I have three uber-level goals. One is to continue to drive our client computing business to a position of stable profitability in the face of a slowly declining [market]. I think we’re doing well in that area. The second is to grow and scale our IoT business from something that’s very interesting to something that’s really substantial in the longer term. The IoT business for us is a microcosm of the entire company coming together—we’re creating a type of all-for-one, one-for-all mentality. The third is to maintain a degree of vibrancy in the technology leadership of our entire systems architecture organization. It’s developing all the core technologies that really moves the competitive needle forward. IDGNS: Intel’s untethered mixed-reality headset called Project Alloy was big news at IDF. What are the expectations from Alloy and how are things going? I think it’s another very interesting growth opportunity for the PC. I think it can generate a specific class of products in its own right. It will generate different segmentation points and probably a custom piece of silicon built on the PC platform that amplify the use case. So we’re very excited about the whole VR space. 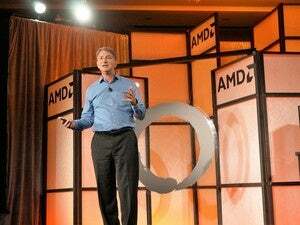 IDGNS: Intel hasn’t given up on Moore’s Law, though many believe it is reaching its end. How is Intel preparing for a future when manufacturing reaches atomic scale, and how will chips look beyond Kaby Lake? Nobody inside Intel is coming anywhere near the kind-of-like fatalistic conclusions about where Moore’s Law is. Intel has had a stellar track record in delivering node generation like clockwork. Maybe we’ve moved from a two-year to a two-and-a-half-year cadence, but we already see light at the end of the tunnel. We will continue to drive process technology and nobody is calling timeout on anything. We’re working hard on 7-nanometer, we’re talking about pathfinding for 5-nanometer. All of that is in the throes. We made a great announcement on Kaby Lake—that’s using an evolution of 14-nanometer transistor geometry that gave a substantially improved user experience compared to Skylake. We’re going to continue to do more of that as we continue to drive process leadership. IDGNS: Are you happy with your current chip line-up—Kaby Lake for PCs, and Atom for IoT? We have a competent portfolio of products. I’m in no way shape or form concluding they are complete and aren’t going to be benefited from augmentation. For me I think it’s really wanting to understand the use cases a lot more. I don’t see an IoT strategy for Intel being one where everything is delivered by Intel. It’s integrating a number of different technologies that could be indigenous to Intel, or could be created by other companies, but managed in a way where people could look at Intel as somebody providing the overarching framework of integration. 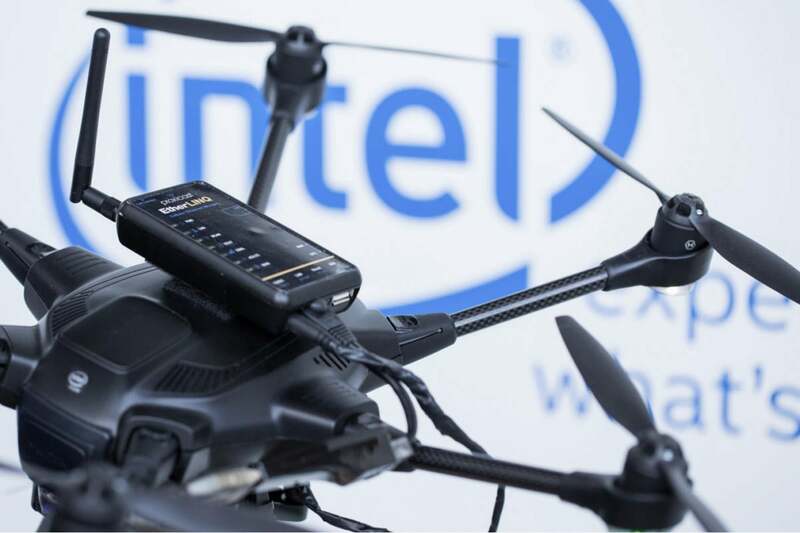 IDGNS: IoT is a big part of Intel’s future. What’s the strategy for that market? That’s a significant business. I think we’re just starting. As you see the advent of autonomous driving vehicles, you see robots and drones start to ship in scale: those are very high value opportunities for us. We characterize our IoT interests into three verticals: industrial, transportation and retail—all of them have an end-to-end dimension where we’re providing a client environment, the networking infrastructure and the data analytics platform that drives all of that through industry partnerships. Open to? Yes. My view is fairly straightforward—that Intel’s IoT plan has to not only be able to harmoniously integrate Intel-based microprocessors and MCUs, it has to be able to aggregate and harmoniously integrate a plethora of different types of MCUs, whether it be ARM-based, MIPS-based, or proprietary MCUs. All of them have the ability to monitor, sense data that they want to get on to an information highway of some kind. Our ability to [support] many different client environments is going to be a necessity in any vertical IoT strategy we have. There are many areas in the ARM ecosystem where Intel can pragmatically play in for its own benefit. I’m a big believer in paying respect to established ecosystems. Our goal is to provide the type of computing power that dwarfs anything that exists in a car today, but basically make it mainstream. What we’re doing on our Xeon Phi processor for machine learning and deep learning, what we’re doing in computer vision and also supplemented by radar and lidar. Being able to aggregate that data, generate intelligence, make decisions on it with assistance from machine and deep learning algorithms—that’s all happening as we speak. I see the first explosive area to be in the urban transportation environment where services like Uber and Lyft will evolve and develop. There’s going to be a lot of experimentation and path-finding to do in addition to technology creation. We’re probably talking about a decade away. Stamina to invest is going to be really important; those that have the stamina to stay the course are going to win big. I have a great deal of respect for Nvidia. But every time I think of Nvidia, I think about Californian wine where they can make great wine but it contains only one grape—great Cabernet Sauvignon or a great Chardonnay. I love French wines and French wines are blends where you need to be great at growing Cabernet, great at growing Merlot, great at growing Cabernet Franc. The art is in the mixture. That’s the benefit Intel has. We have GPU, we have CPU, we have custom silicon, we have embedded storage, we have FPGA. Nvidia’s going to basically say “I’ve got GPUs and I’ve got GPUs and I’ve got GPUs.” Great strategy, but it doesn’t give anywhere near the extensibility, flexibility and scalability that Intel is able to offer. 5G is as much about the transformation of the network and the infrastructure as it is the client environment. [There is] going to be an even greater demand from mobile broadband bandwidth, people are going to want tens of gigabytes per second, if not hundreds of gigabytes per second. We’re going to see much greater pervasiveness of client devices. If you talk about autonomous vehicles or delivering health services over a mobile network, you need to be able to make life or death decisions based on that. The network has to transform and the data center becomes a much higher order entity that’s focused on massive data analytics that orchestrates that entire network.